Great little bit of kit. Its a must to have in any tool bag/box, super price very easy to use . Has most things to help you out. Fantastic bit of kit, really useful and a permanent part of my tool bag. The ratchet action is smooth and feels positive. Despite its small size it is well built and high quality. My only slight criticism is that it’s a bit on the expensive side. Outstanding quality for the price. 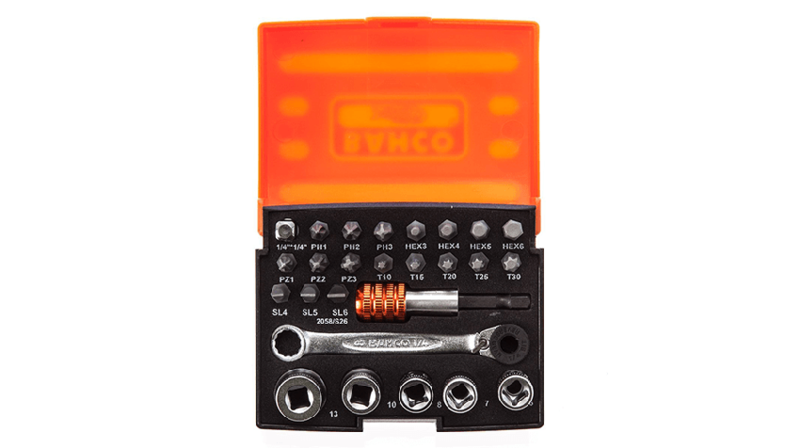 Always been a fan of Bahco products and this sets demonstrates just how good bahco are. highly recommended. excellent build quality simple easy design great value for money. easy to use would strongly recommend. I love my little bacho set has got me out of quite a few problems over last year or so. Very handy just to keep in your pocket to carry about on jobs. Brilliant little socket set, comes with all the bits you would expect. Very handy on all boiler models. Great for getting into those hard to reach places where a screwdriver won't fit! Got this set as left my wera ones at a job was surprised by the quality of them and they have lasted a while comes in very handy on boilers getting case screws out and setting the co on boilers. This comes out when I’m a breakdown and gets me out of trouble every time, quality and reliable tool kit cannot fault it. One of the best tools iv ever bought. Great for boilers. A bit expensive but we'll worth the money. Dug me out a few holes in the past. Excellent little socket set very well made as are all Bacho products. Good for those very tight hard to get to boiler parts whilst doing repairs. Really handy little socket set, ideal for use inside boilers. Loads of sockets and adapters, can fit screwdriver bits to it as well. Really good compact ratchet set, value for money, if i was being critical, you could say more sockets at the bigger end rather than the smaller ones, but that is nip picking. Having had several mini ratchet sets over the years I found this one to be one of the poorest. Had constant issues with the bits snapping and breaking and the ratchet mechanism kept seizing. A great little find, for its size and it’s priced has been extremely reliable and works in most practices. The best set to have brilliant when working on boiler and places you can’t get to quality well made and great price ,everyone should have this little set fantastic to use . Had these when I first went out on my own. Couldn’t be with out them. Very handy for boiler breakdowns and at a good price. Doing up a old mini car and needed a set of ratchet spanner’s to reach the hard to get places, good quality and easy to use. Good quality set. I have the bigger versions too and all are made well. Handy little pack to keep in the van for any eventuality. Was issued with this set while at a previous company certainly can't fault the build quality and reliability of them, they have taken some abuse, but held up really well, would defo reccomend a set! Pretty good set. Good in tight spaces and grabs quite well when bolts etc are abit worn. I'm a bahco fan anyway but this just proves the quality of there work tools for me personally. An absolutely essential little kit for every day use. Fantastic for awkward to reach areas like gas valves etc. Pricey but you really do get what you pay for. Look after your Bahco tools and they'll last you many years. Pricey as all this brands tools are. But I wouldn't be without it. I've had this for over a year and it's still good. The big holder is a little crap. The bits can fall out as it doesn't hold them but it's been like this from new. A friends is the same. We did mention it to the reps at a trade stand and there only advise was to take them back to store. A bit rubbish of the as the store had refused to take them back as they were more than 2 months old and now there responsibility. Great to have when servicing or repairing boilers. Would be lost without my set. Good value for money and great build quality. Love this set. Just right for what I need it for, nice size and great quality. Can put a lot of strain when undoing a bolt and doesn't feel like it gonna break. Fantastic little kit! Worth the money and very handy to have. Had similar kits that broke quickly, rather is strong in this. First bought this set as it might come in usefull some times, now I have ended up using it most days, especially if working on worcesters, it's the perfect size. Great wee set. I own 3 of these and keep them in different tool bags as they're so handy. I may even get abother for the car. Great piece of kit for everyday use,good quality tools great for working on boilers.great price too. Brilliant little piece! Use it almost every day! Bahco seems to have brilliant build quality regardless of what product u are using. Great for installing taps and getting to those hard to reach areas in boilers. Would highly recommend. Great set amazing value for money. Really good on boiler services easy to use product with all the different heads you can't go wrong. I love this set! Particularly on boiler services. For the price tag, it's a great little service set. Build quality is good. 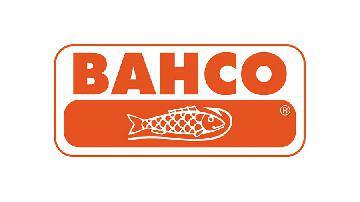 It's Bahco, what more can be said? Great range in the set yet still small enough to keep in the toolbox everywhere I go. From from tool care and maintenance to those fiddly jobs on site. Great set, highly recommended. Great for tight spaces like boilers and can be used to unscrew hob injectors. Brilliant selection of bits and the ratchet is well made. Very handy set to have to boiler servicing/repairs. The variety of bits is of great use when working on different appliances. The small size makes it easy to stick in your pocket. I always use Bahco now as there tools are second to none. Great quality, good durability, well made, what more could you ask for in a hand tool. A must for any engineer who works on boilers. Always in my kit. Very useful for tricky places and gets more use than you would think. Basically a must for all Breakdown engineers, a very underestimated tool kit, I would be lost without it. Great bit of kit for servicing boilers. Good value for money compared to other sets on the market. The various attachments are very good quality. I bought one of these kits a few months ago now, as a service and repair engineer I have no idea how I managed without it. Fantastic for all the difficult to get to stuff, goes into the toolbar and stays there. Excellent little kit that will make your life so much easier in them tight to access spaces. Great build quality as always with Bahco and excellent value for money. I would be lost without mine. Purchased this s few weeks ago and can say it's been used almost everyday. Great selection of sockets which cover most tasks. Bacho quality as you would expect. Great set. Comes in handy is so many places. Boiler services are a breeze now! Comes with all the main bits you'll need and fits nicely in the toolbag. Great piece of kit, got me out of a few jams, gets right into those tight spaces. Would recommend this little set to anyone. 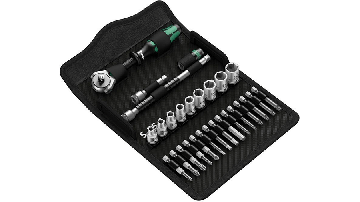 Nice little set for using around the house, but I prefer the Wera Zyklop set professionally. Good build quality and usually some great offers on price at Amazon. This little kit goes everywhere with me and has got me out of a lot of tricky little situations. Love my bahco kit, I was sick of carrying a big bag into customers houses for break downs. This along with a couple other sets has helped solve this. Couldn't recommend it more. Being a breakdown and repair engineer this is a lifesaver in tight locations to get those awkward nuts and screws undone without them rounding off. One of my most handy tools I have in my arsenal for boiler maintenance. You would not believe how many times I turn to it when I can't get a regulator screwdriver in for example. I've used the attachment in my impact driver with no bother. Couldnt live with out this in my bag.